Have you ever wondered if your child's behavior is truly a behavior issue? Maybe there seems to be an underlying sensory issue going on? 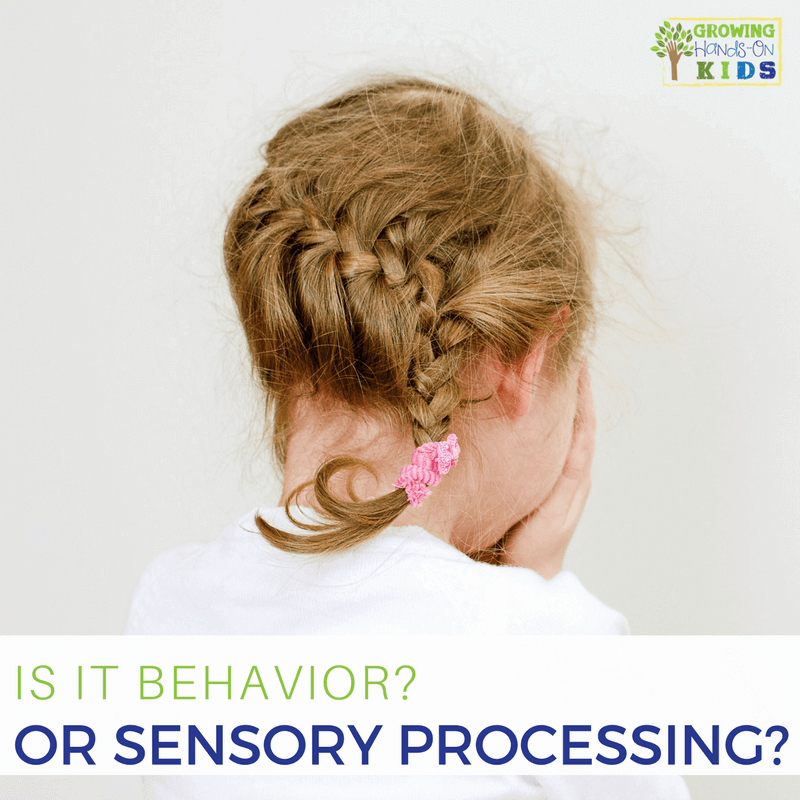 Many times it is hard to tell if a behavior is truly a behavior or if your child is reacting to sensory problems in their body. 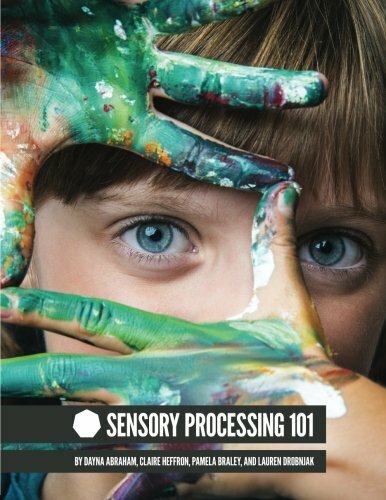 In this 5 week series on behavior and sensory processing, I hope to give you some ideas and answers on whether your child's behavior is truly sensory related or not. You can also get a free printable of this entire series, scroll down to the bottom of this post to get it! A couple of months ago, I attended a continuing education class by Debra Dickson, RPT titled “Is it Sensory? Or is it Behavior?”. She gave us a lot of great information that I am going to be sharing with you over the next 5 weeks. She has also given permission for this information to be shared. If you wish to find out more about Debra and her books or her services, you can visit her website Therapy Works, LLC. Also please note, this series only looks at behavior as linked to sensory responses. There are definitely kids who have a behavior component as well as a sensory component to their responses and behaviors. And kids will be kids. They are going to throw fits over not getting something they wanted, or for seemingly no reasons at all. That just comes with the territory. I am not a licensed behavior therapist. If you feel your child's extreme behavior is truly a behavior and not only sensory related, please get in contact with your physician and a behavior therapist. And the same goes for sensory if you feel your child has major sensory processing problems, again consult your physician and occupational therapist. Is it Behavior? Or is it Sensory? 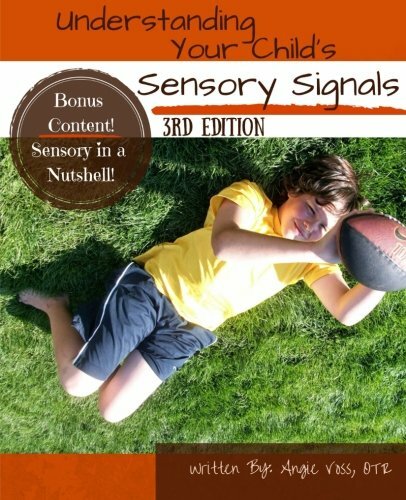 So is your child's behavior a behavior issue or sensory? The short answer, you may not like is: YES…. and YES! I know you probably don't want to hear that answer, so let me explain it a little bit. Our perception based on the situation – this could come from past experiences or how our brain is interpreting a situation. The main thing to gather from this is that no two people have all the same biochemical, neurological, or hard wiring make up. We also don't perceive situations the same! So what one person may be able to handle without “flipping out” someone else may not be able to. A good example of this is motion sickness. Many people, my father included, become motion sick at the slightest un-natural movement or sensation to their bodies. So plane rides, boat rides, car rides are not a fun thing for them. They need to take medicine to change the biochemical makeup of their brains to be able to make it through that experience without getting sick. But then there are others, myself included, who do not get sick when on a plane, or in the car, or on a boat. It all has to do with our brain makeup and wiring. 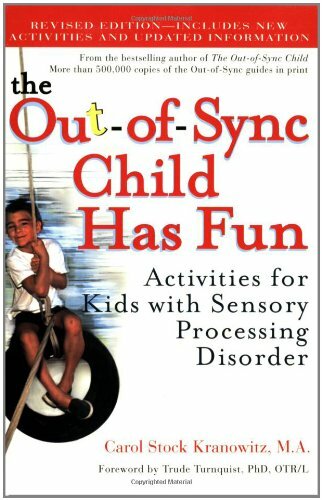 For children who are having sensory processing problems, their brains are wired much differently than the average person. Sensory information is hitting their little brains and they don't know how to process this information correctly. It is often misinterpreted. This puts their body into a huge amount of stress. When your body is under stress, it puts you into a very primal response: fight or flight. Do you need to stand up and fight against this situation or do you need to run away from it? It is all about self-preservation. An example of fight would be the mother who suddenly has super power strength in order to save a child from a dangerous situation. An example of flight would be realizing someone is following you and running for your life. 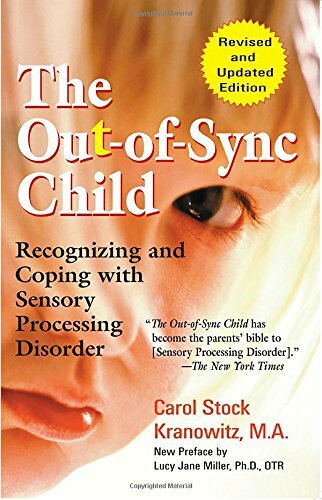 For a child who is not processing the incoming sensory information correctly, their body could be in a state of constant fight or flight mode. When their body is telling them that this situation is not safe they either need to “fight” or “flight”. They are going to react to the behavior. All of these play a factor into how a child is going to react to a situation. For many children, if you take a look at the 5 areas above and address these problem areas, often times a behavior will start to diminish. But guess what?! Remember how we said, no two people are alike? That means no two treatment options are alike either. Each person comes with their own experience, hard wiring, brain function, and reaction to stimulus. So that means each person or child needs to be looked at as an individual! Just because one treatment idea worked for one child, does not mean it works for ALL children. This is why behavior plans in schools may work for some children, but not all. In order for a behavior plan to work, stress needs to be alleviated. For stress to be alleviated, you need to look at the 5 factors above. (Allergies, sleep, nutrition, environmental factors, brain function). In the next 5 weeks, we are going to look at some general guidelines and ideas for figuring out if your child's behavior is truly a behavior or sensory related. I want to stress that these ideas are not to be taken as medical advice. You need to seek the professional advice of your pediatrician or see a physical or occupational therapist who specializes in sensory integration therapy. Please do not make ANY changes to your child's diet without first consulting a physician or nutritionist. 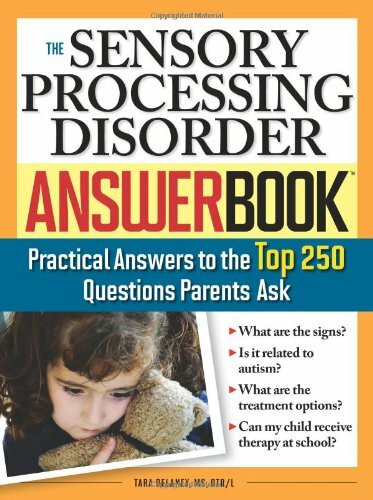 This series is also to not be used as a way “diagnose your child.” The only way to find out if your child has a real sensory processing problem is to talk to your physician or Occupational Therapist. 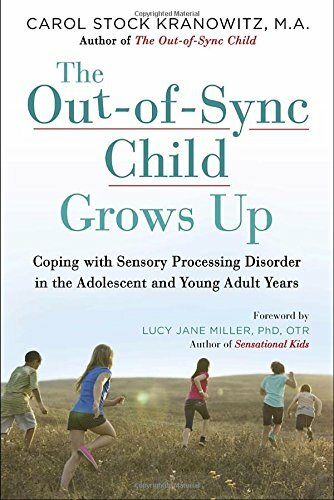 I want to also say that knowing your child's behavior is a result of a sensory processing problem does not mean they get a free pass and have no consequences! What it does mean is that as a parent, you are looking for ways to alleviate the external or internal stressors that could be causing that behavior. I don't know many parents that like to be constantly correcting or giving out consequences for behaviors. 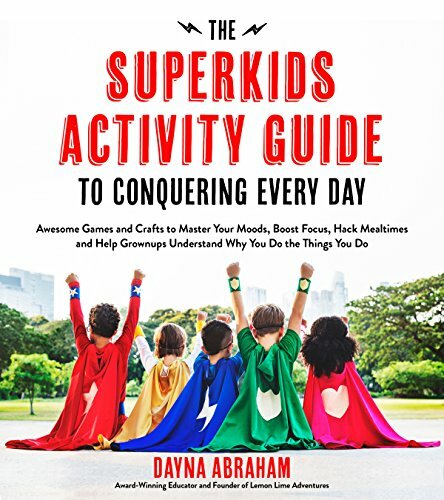 The information in this series is not meant to give excuses, instead, it is meant to empower you as a parent to do all you can for your child and to figure out what is causing their behavior. 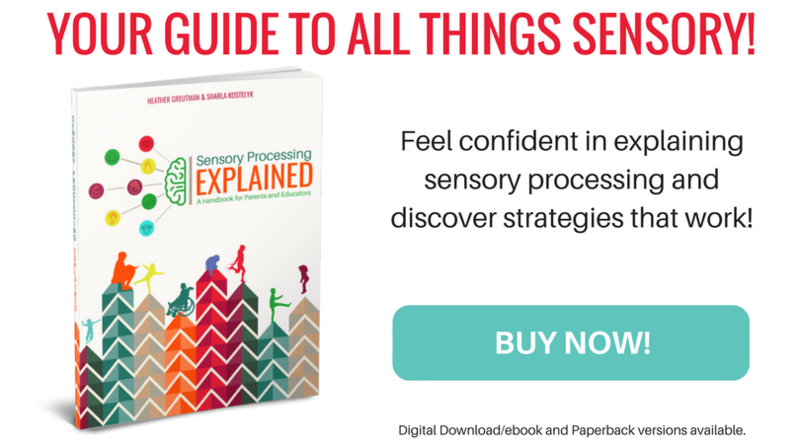 My friend Sharla and I wrote a brand new book all about sensory processing called Sensory Processing Explained: A Handbook for Parents and Educators. We really wanted to create a go-to-guide for parents as well as teachers, so you will find a section based on the home environment and another for the classroom. 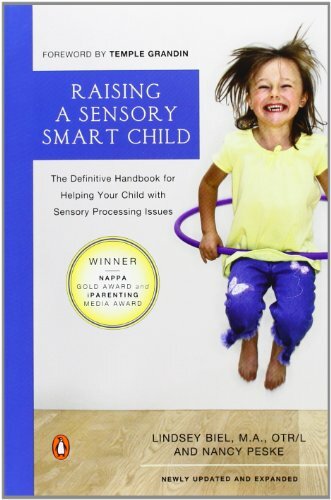 I also recommend the following books on sensory processing. 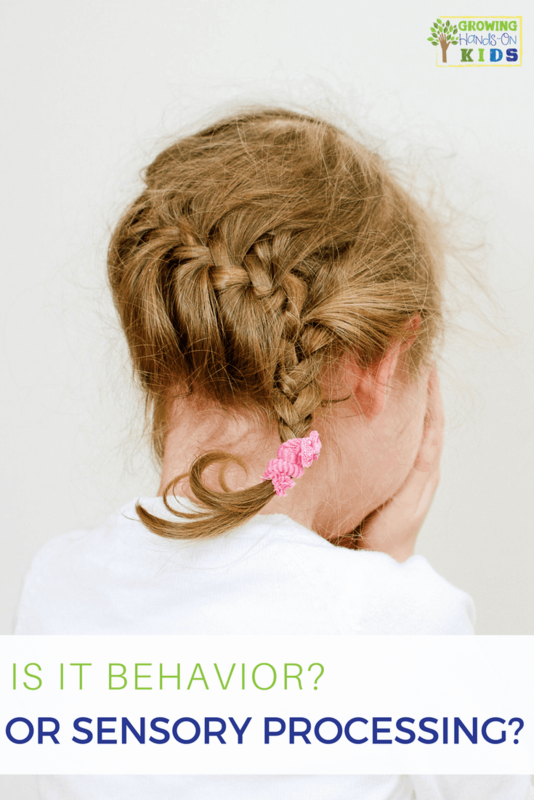 If you are facing some behavior issues with any of your children, whether they are typical or have special needs, I hope that you can gain some information that can help you to problem solve their behaviors and help to turn things around in your home. Want a Printable Version of This Behavior vs. Sensory Series? I have a printable version of the entire 5 post series that you can download when you subscribe below. Just enter your e-mail address and click the green “Download” button. You will need to confirm your subscription in an e-mail you receive in your inbox (double check your spam box if it does not show up in your inbox). Once you confirm, the download will be automatically sent to your computer. You'll also get my 9-day sensory processing e-mail series as a to follow up with free printables of each sensory system in each e-mail! You can also follow my Pinterest boards to get more ideas. Follow Heather @ Golden Reflections Blog's board Occupational Therapy Tips on Pinterest.